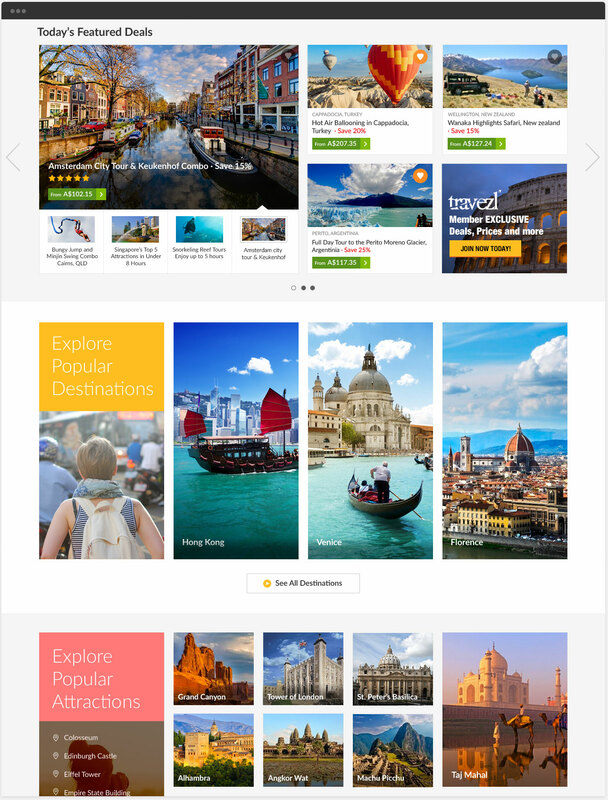 We led the digital strategy, design direction and frontend + backend development of all new web experience for a global travel portal. 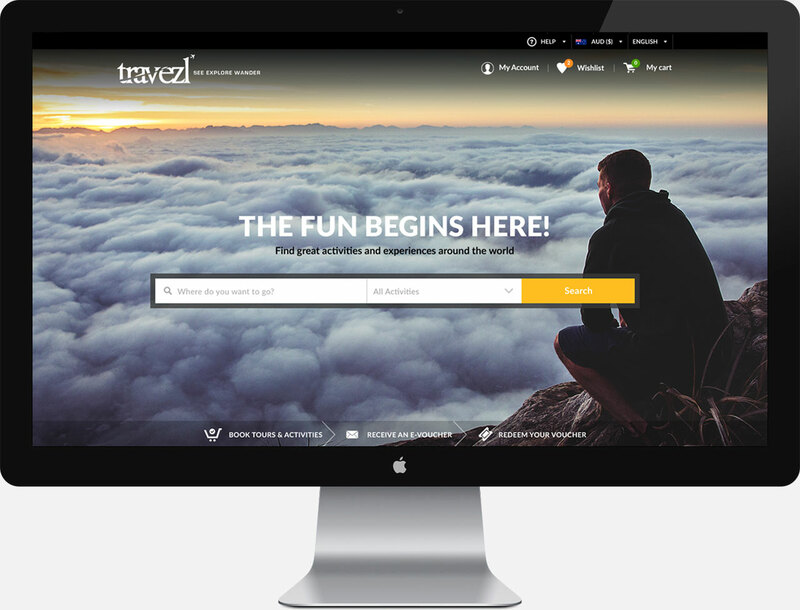 Travezl is an exciting new travel portal providing services worldwide. 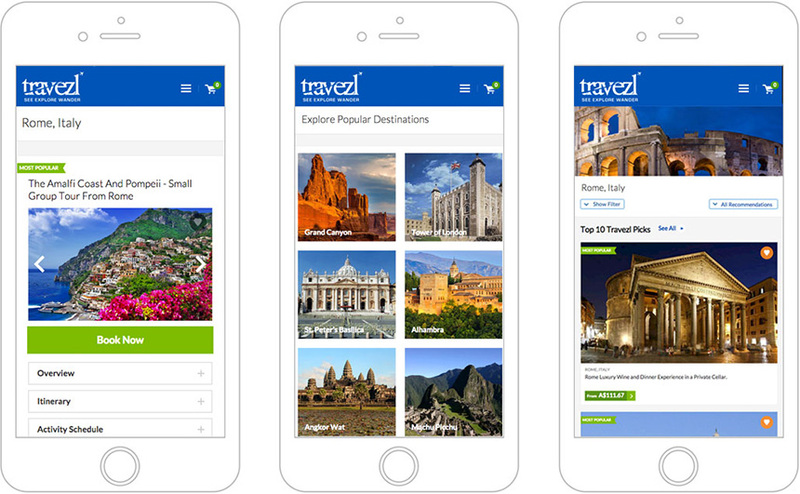 Travezl makes it easy and simple for you to find and book your desired activities all in a one stop shop to research, plan and book activities online, so that you as travellers are researching less and seeing, exploring and wandering more! 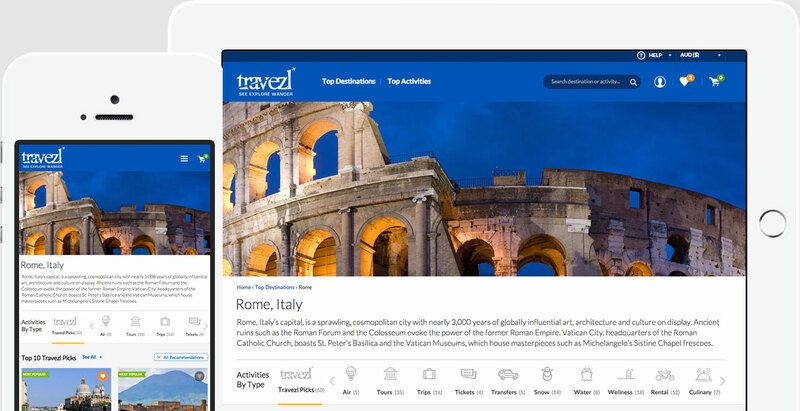 Working in partnership with Travezl, we are driving force behind crafting digital strategy, competitive analysis, front-end and backend development along with digital marketing strategy. A truly collaborative project, the portal is a proud addition to our portfolio and we are very excited about its launch. elevate the value of their brands through thoughtfully designed web experiences.